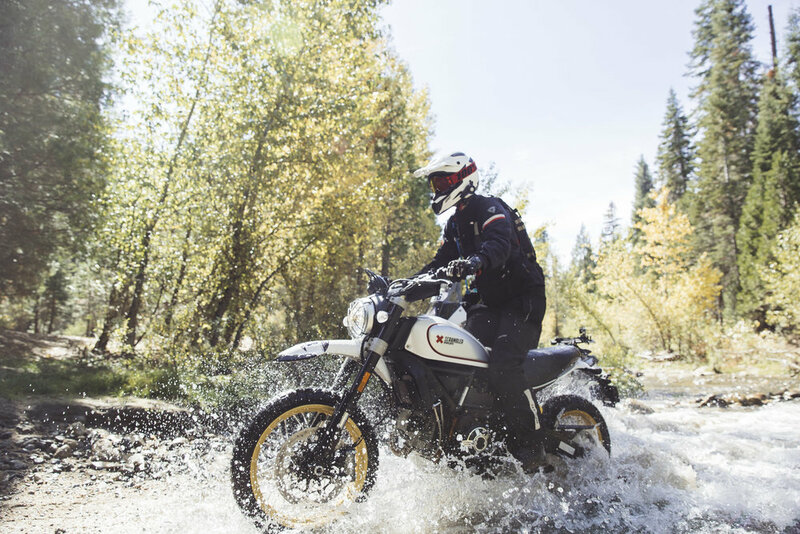 HOW DID YOU GET INTO OFF-ROAD RIDING? My fiancé Adam was the one who got me into riding off-road. When I first started riding in 2014, I only wanted to ride street and never have thought that I would get into riding dirt. Now if I ever had to choose between the two, street or dirt, I would choose to ride off-road, hands down! I would always watch videos of Adam ripping through trails and was completely mesmerized — I wanted to experience that same adrenaline feeling. 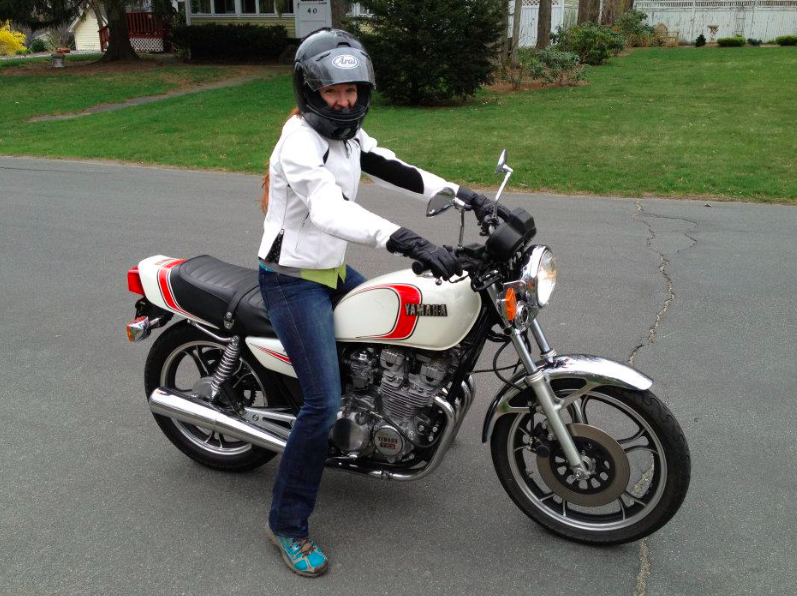 I first learned how to ride dirt on my 1992 Suzuki DR350. 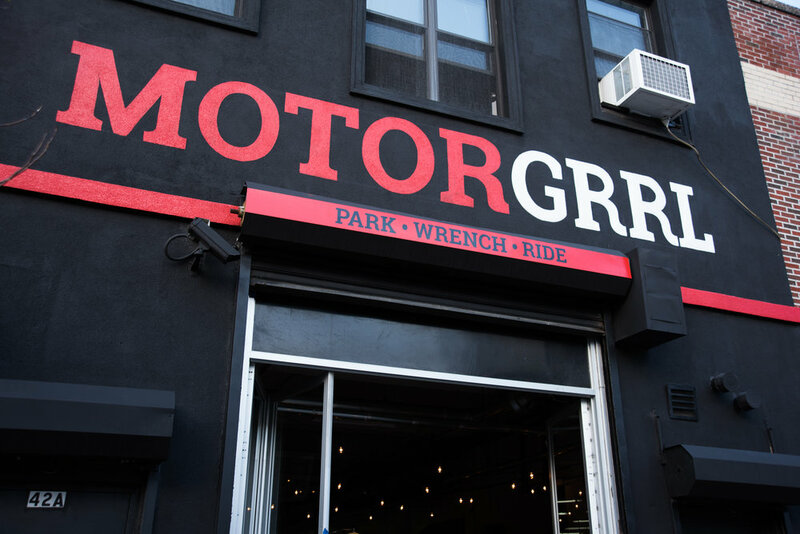 It was a great bike to start out on, but once I got a taste of a 2-stroke dirt bike that was it — I needed something more compatible for the riding style I craved. Adam then surprised me for Christmas one year with a 1996 Kawasaki KX125. That's the bike that made me completely fall in love with riding 2-strokes. The power completely changed my outlook on riding off-road and I couldn't stop smiling underneath my helmet. However, my KX was at times challenging to ride due to some minor imperfections. I wanted to desperately advance in my skill set so instead of putting tons of money to fix up an old bike I decided to sell it to RIDE ORANGE! I am now the proud owner of a 2009 KTM 200 XC-W and couldn't be more pumped! It's an incredible bike to ride trails and help me grow as a rider. WHAT KIND OF TERRAIN DO YOU LIKE RIDING THE MOST? 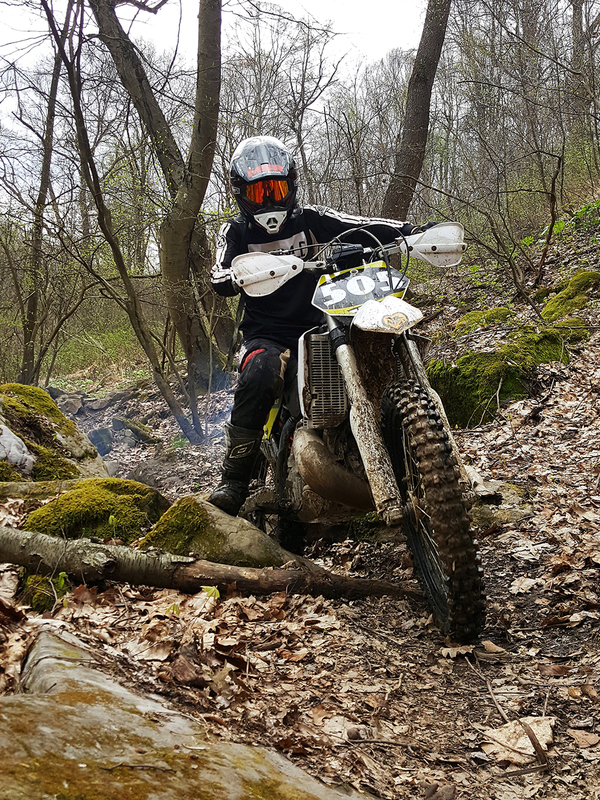 There is nothing more thrilling than riding through the woods trying to get through each obstacle that comes your way. 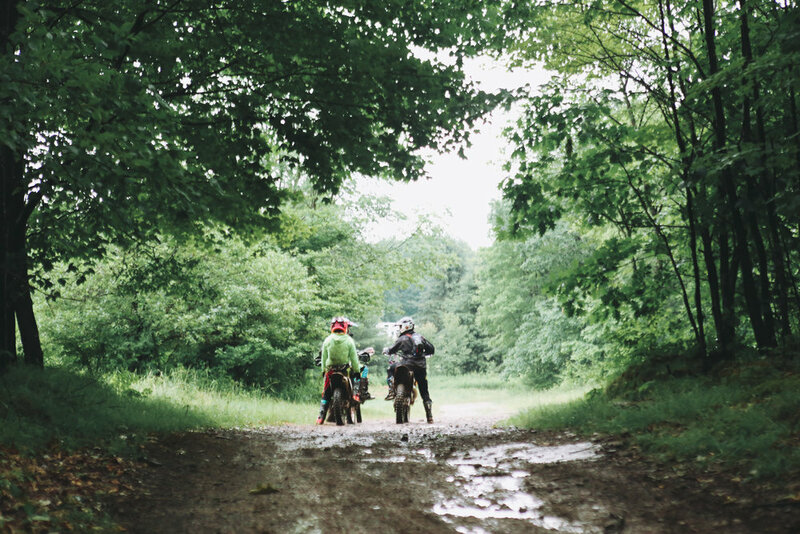 You get to ride through nature's very own playground — log crossings, rocky terrain, ruts — the list goes on. What really keeps it exciting that you can ride a route one weekend and by the next one it can change completely! Riding trails really improves your technical skill set — especially when riding tight single-track. And let's be real, it doesn't hurt that you're surrounded by the amazing scenery of the woods. I love that you are constantly challenging yourself off-road. There is always something new to learn and you’re continuously working on improving your skills. It's an incredible feeling when you are able to get through an obstacle that you once struggled with. 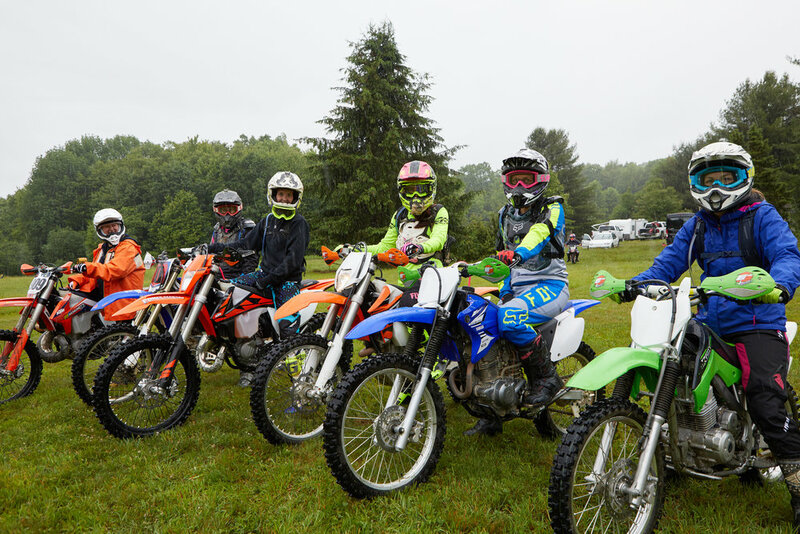 The first I heard about Over And Out was when Kelly mentioned to me that she wanted to create a ladies-only off-road event here on the East Coast. There was no event like that on our side of the country and Kelly was determined to make it happen! While she worked on plans for a public event, she organized a smaller trial event with a handful of women (of all levels) and women loved it. 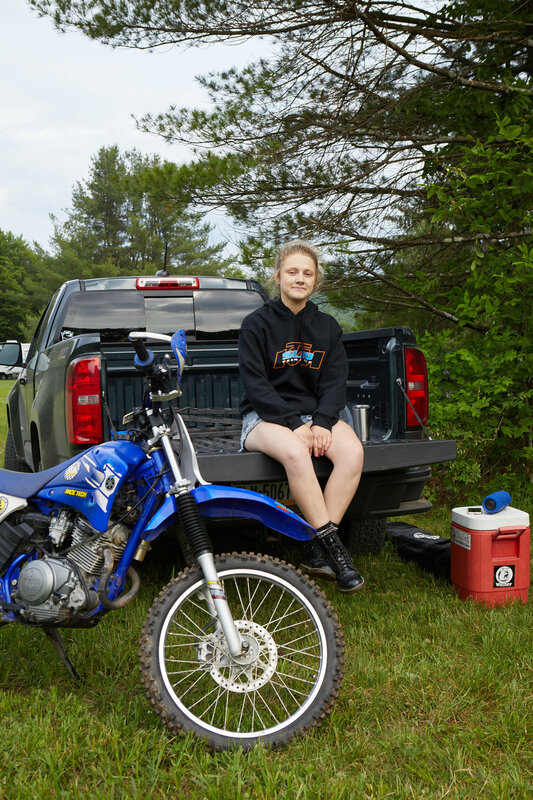 After that I was ECSTATIC to hear the official plans for Over And Out were a GO, and that we were finally getting a women's off-road event here on the East Coast!! As far as my involvement with Over And Out, I'm helping to bring in great items for the raffle, am assisting with event set-up and...pretty much whatever else is needed to produce an event like this! It's really fun to coordinate all of the exciting things to come! 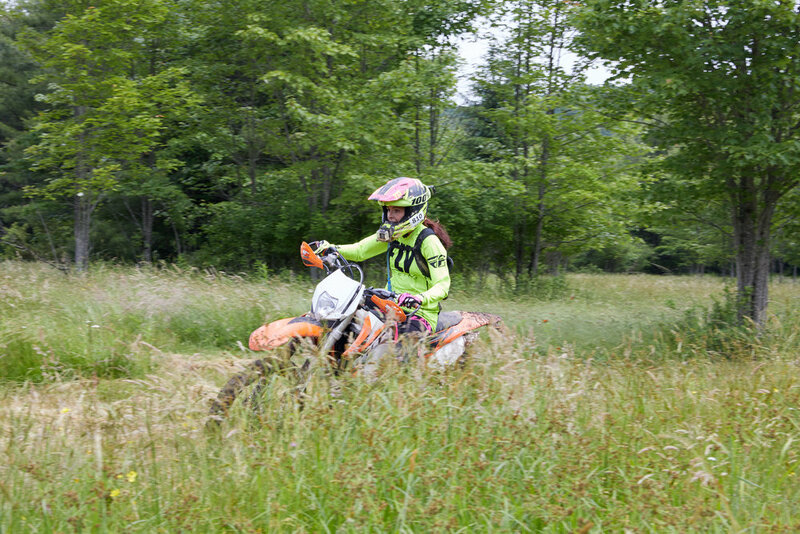 I feel honored to help assist Kelly in the planning of OAO — it's great to have an incredible woman in the off-roading community be the brains behind this event, but even better to help a friend that I have connected with through the love of riding dirt bikes! 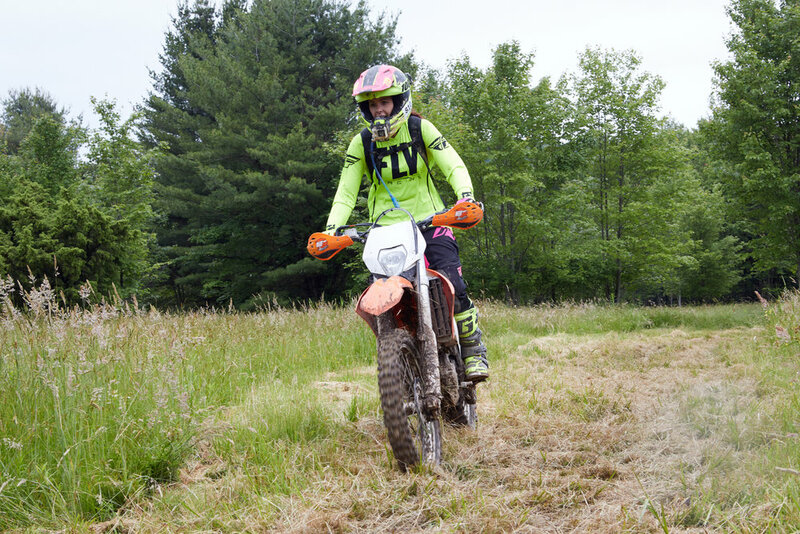 We met at the first Babes Ride Out East Coast and I was pumped to meet a woman who loves riding trails like me! When Kelly first told me that she was planning Over And Out I immediately volunteered to help in any way I could! 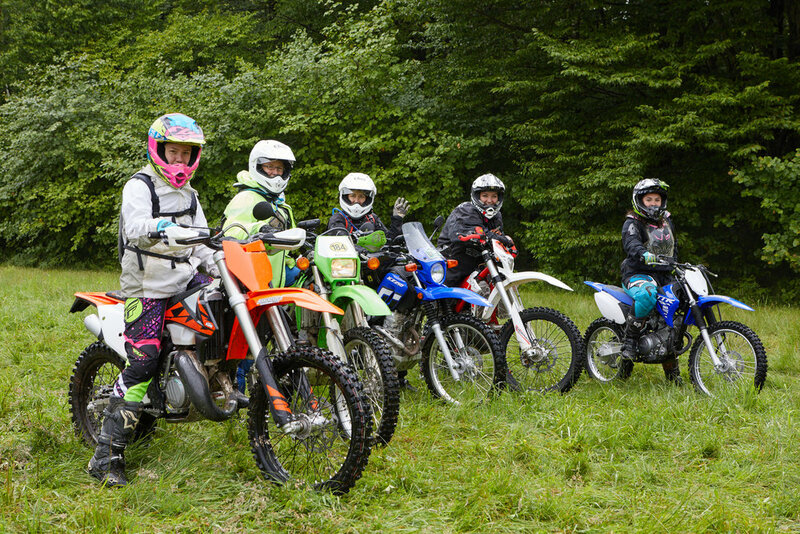 I always wished there was a dirt bike/off-road event out here for women and I couldn't be happier that it is now a reality. 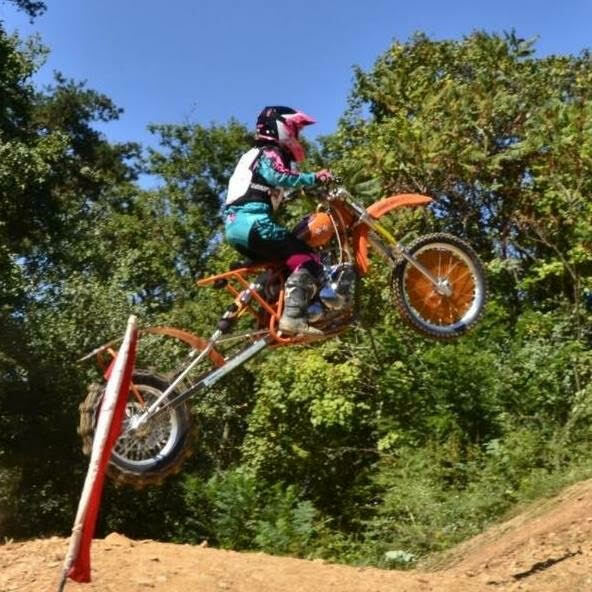 Riding dirt bikes has become such a huge part of my life so being able to help with Over And Out is very important to me. I can't wait to meet more great people, and I can't wait to RIDE!